They gave you wings, extreme sports races, and Flugtag – and now they want to save print magazines with the bold concept: Print 2.0. Guess which one of these is a true fact? 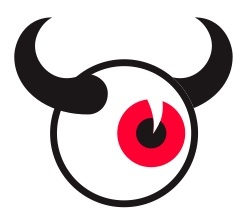 The cover and multiple pages (any page with the Bull’s eye) can be activated by pointing to a webcam thanks to Imagination’s natural feature tracking software. If you don’t have the printed magazine – don’t worry – you can download and print at home. It’s not often that a magazine can call itself revolutionary, but we’re delighted to say this one can. This very issue of The Red Bulletin takes us from print to Print 2.0, thanks to the incorporation of some nifty software known as ‘augmented reality’…the fun stuff is this: simply by holding the mag up to a computer you can take it ‘beyond the page’ and into the world-wide web. So, for example…[the cover] will link through to a video package explaining exactly how augmented reality can enhance your reading experience in a way you almost certainly never imagined, with music, ﬁlm, animations and more. ﬁnd the band’s latest video on the website. Clever, eh? Further in, you can read about Burcu Cetinkaya and Cicek Güney – the girls putting the glam into rallying – then link to exclusive interviews with them and videos of them driving ﬂat-out… and crashing! And we’re not done yet, no way. Our Reggie Bush cover story, on page 48, combines with an exclusive mini-movie of Reggie at home, as he talks to correspondent Jan Cremer, while page 62 will take you right into the pocket-rocket world of the Red Bull Rookie motorbike racers.